If you have recently found yourself out of work then it is time to get busy updating your social media sites. With exception to checking that your Facebook and twitter profiles have no embarrassing photos, posts/Tweets that are in the public domain, racist or profanities, then the most important profile you need to take care over is good old LinkedIn. I guarantee that potential employers will be looking at your social media sites, however they will probably spend more time on your LinkedIn account than any other platform. The best advice that I can share with you is to be honest. It is easy for employers to check your background information, so elaborating on finish dates, or exam grades is not wise. Please do not use the words negative words such as “unemployed”, “Looking for work” within your LinkedIn profile. Simply click the little pencil on the top right, and then edit your headline. I suggest using a phrase such as “Open to Opportunities” or “Seeking a New Career Opportunity”. #2 - Should you change your job listing? Keeping with the theme of honesty and transparency, I would recommend adding a finish date to your last role. Some people may decide to add a new experience to highlight that they are currently seeking a new opportunity, however, my opinion is that this area should be for actual positions, not to highlight that you are unemployed. 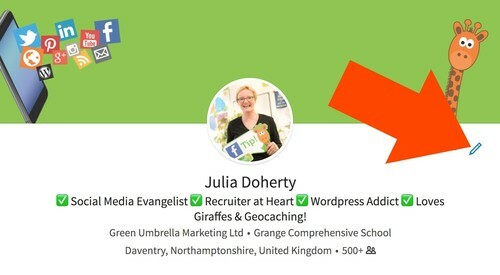 There is absolutely no harm in publishing an activity update (or status update), to announce to your connections that you are seeking a new role. You never know! If you have not yet updated your career interests then now is the time to activate it. 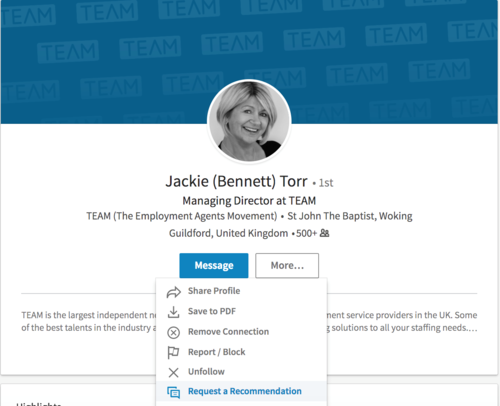 By activating this feature, you will be showcasing your availability to recruiters who are sourcing candidates. Even if you are seeking a freelancing position, then activating your career interests is paramount. Message any recruiter or employer who is posting a job up to three times a month using inmail. You will be moved to the top of the applicant list if you are a premium user. See who has viewed your profile in the last 90 days and how they found you. (this is a very handy feature for job seekers). Applicant insights – look at the statistics of how you compare to other applicants who have a similar skillset to you. Salary details – with the premium package you are able to view salary details of jobs without giving your personal data. Now is the time to build up those highly valuable recommendations. You want your profile to “sing out” to potential employers and what could be more powerful than other people saying how wonderful you are? To request a recommendation search for the profile in the top search bar. Once you have found the profile (hopefully you are already connected to the person), click > more > request recommendation. The above ideas are my own opinion and I appreciate that there may be others that will not agree with these steps. I have seen many people who have added a new position to their experience section to say that they are currently working for “seeking new job”. I also know of some people who have changed their profile summary to explain that they are looking for a new career. Many people tend to change the description of their last job to take the opportunity to explain why they are no longer working for the organisation. I strongly believe that a positive outlook on your LinkedIn profile is much more attractive to a recruiter or potential employer than someone who expresses any negativity within their profile. Focus on your skills, spend time collecting recommendations and endorsements and become active on the platform.